Harry and Malfoy. 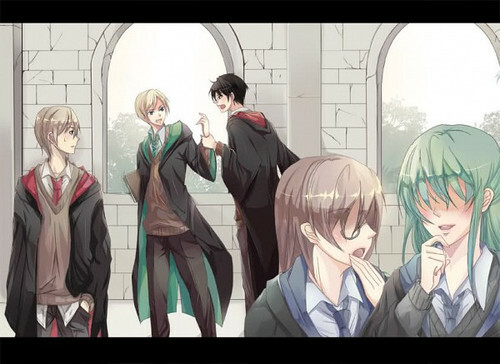 This is of Harry and Malfoy with a aléatoire Gryffindor and two gossiping girls in the hallway staring!. Wallpaper and background images in the animé Harry Potter club tagged: harry potter anime malfoy draco.